Big thanks for your orders and thanks for stopping by the shop! Postman Anita is on her way to pick up the parcels. Missa inte Annan Konst, Göteborgs Konstmuseum. Sista dag på söndag. Shop is open! Welcome to take a look. A small scale start it is, but I have been longing for a place like this where my books can continue living and where they can find new readers in the coming future. And it is inspiring to have a platform for new projects, as the cards above! 8 different motifs, in a bundle of 16 cards. 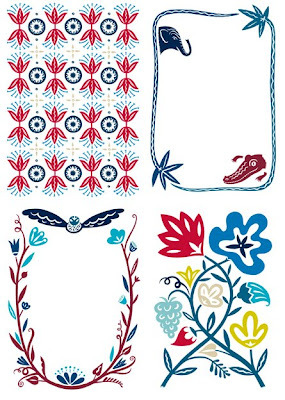 Size is 5.8 x 8.3 inches and they are printed on uncoated paper, 300 gsm. 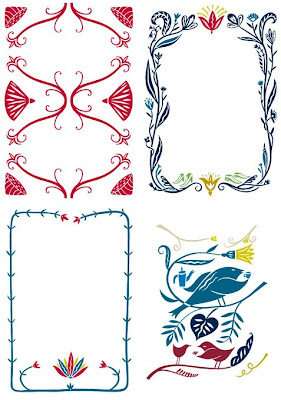 You can use them as invitation cards, postcards, greeting cards or just whatever you like. Inspiring: The box (!) 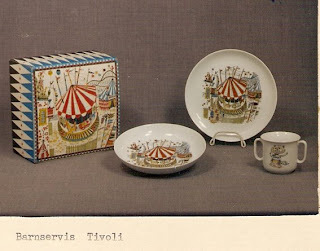 for the Tivoli-tableware, by Alf Jarnestad. Nice handwritten typography outside the Visby café and hotel Rosas and on the cookbook Hirams Kokbok. Utställning, Blekinge Museum, med Alf Jarnestads porslin och bilder. My last day in Visby and this week has been so good! No writing today, only some drawing, just for fun. Was lucky to find new paperbags, a hidden flea market that only existed for a few hours and the last magnolias in bloom. Tomorrow I´m leaving for country side life. And my bags are filled with work, and asparagus. Heard a program about Henry Darger on the radio. More of his images here. Can´t remember when I gave myself the time to walk around in a library without beeing in a hurry. (Can´t remember when I last visited a library...) Look at the shelves at the comic books section at Almedalsbiblioteket! Nice aren´t they?! Books by these four, in the photo above, followed me back to my room: Annie Leibovitz, Christer Glenning, Katja Tukiainen and Coco Moodysson. Postcard-sunset-light over the cathedral and the cobbled streets yesterday evening. Luckily I have my unmade bed and my dirty coffee cups to look at. Otherwise I would have felt as if I was hopelessly lost in a photowall. To walk around the botanical garden in Visby is really nice! But now it´s time fore some writing. From my window I see the medieval town wall and the ocean. And the sky is clear blue. 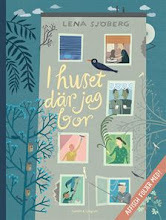 Ett bra utbud av lökar har förresten Narciss & Tulpan. The room from where I will work this week. And the breakfast place for the following 5 mornings, konditori Norrgatt, Visby. Norrgatt + 3 other cafés, Gotland. 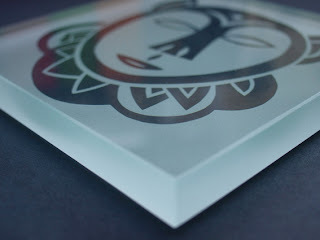 Jakob´s framed illustrations from The Legend of Sally Jones are on their way to an exhibition in Västervik that will start tomorrow, Saturday 9th of May and continue til May 24. Opening hours and address here. And welcome to the opening if you are in the neighbourhood! 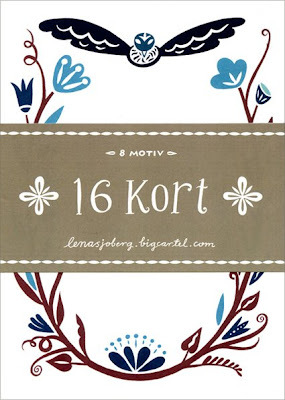 12 - 15. Tomorrow that is. Rest of pics are photos of a book I found behind a chest of drawers yesterday. 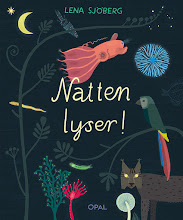 I made it a long time ago for Natur & Kultur (it is a school book) and it is the largest book I have ever made. Almost as big as the Circus-book from Taschen. But not at all that heavy. The grasshopper keeps me company at the office when Jakob isn´t there. More of my things from the exhibition that was held this weekend in Magasinet, Mörtfors. (Wrote about the event called E art 22, in my last post.) 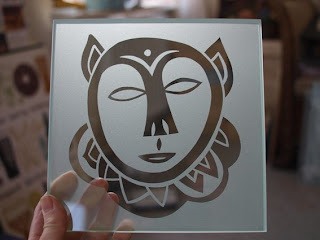 Myself I use the small sand blasted glass pieces as trivets. I put hot saucepans on them and when dirty I just toss them into the dishwasher. The bigger ones are for insight protection. Or just for looking at. Last pictures: some more members of the Royal Paper-bag Family.